The 4th Leg begins as teams return to Canada by flying to Halifax, Nova Scotia. Teams will be flying via Santiago and Toronto. 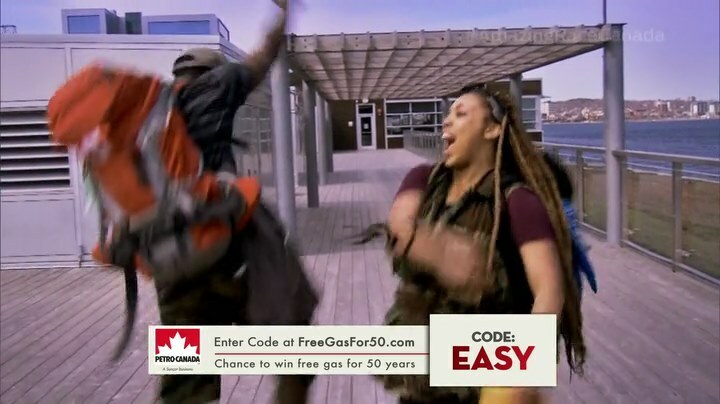 At their Toronto stopover, Gino & Jesse offer $50 to Hamilton & Michaelia in exchange for, presumably, the Express Pass. Brent & Sean interrupt and try to make their case about being friends with them even before they won the Express Pass. Hamilton decides to tell them he’s transgender. They bond over their shared experience and Hamilton & Michaelia decide to give Brent & Sean the Express Pass. At the Halifax Airport, teams must find the BMO kiosk for their next clue. That clue directs teams to the brand new Halifax Central Library. 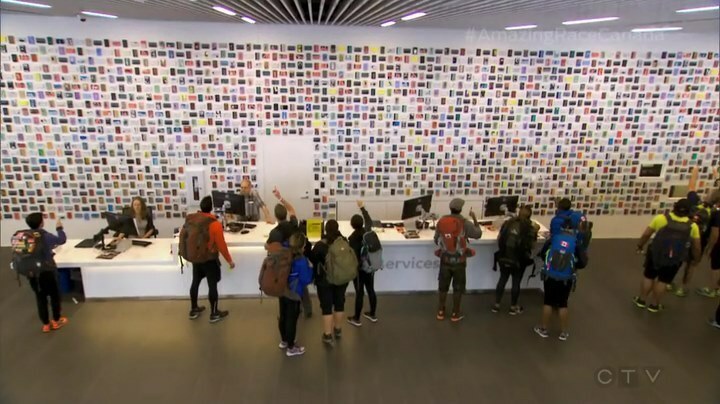 Here, teams must scan the 5000 3×5 paintings and count the number of black and white smartphone cards that feature images from the original Halifax Central Library. They will then write the number (134) on an index card and head to the 5th floor to exchange it for a clue from a librarian. Hamilton & Michaelia and Nic & Sabrina are the first ones to get it correct. The next clue reveals the Road Block: Who’s got an eagle eye? 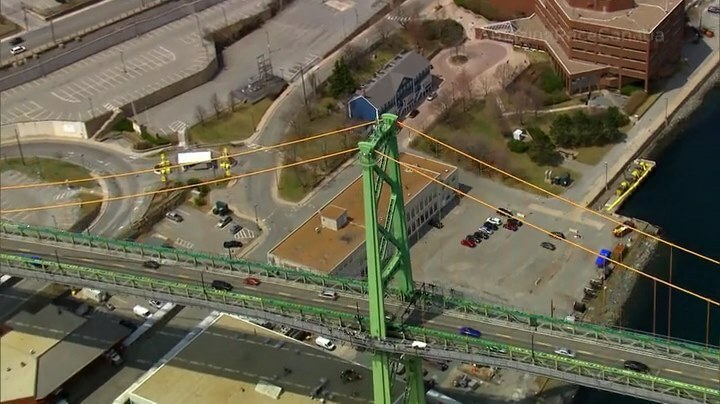 In this Road Block, teams will climb to the top of the Angus L. Macdonald Bridge where they must use binoculars to find their next clue, a flag flying at the Halifax Citadel. Dujean & Leilani and Brian & Cynthia are next out of the library, but only Brian & Cynthia had their taxi wait so they are first to arrive at the bridge. Brian climbs up and quickly finds the flag. Leilani finds it next and knows exactly where to go as this is her hometown. Back at the Library, Gino & Jessie, Nick & Matt, Neil & Kaitlin, Simi & Ope and Brent & Sean team up and decide to just all guess numbers together. Back at the bridge, Michaelia has found the flag. But when she reunites with Hamilton, he drops some bad news: he lost his passport. He thinks he left it on the plane so they go call Air Canada to see if they can help find it. In the meantime, they must continue the Leg. While Nic & Sabrina head to the wrong location, Brian & Cynthia arrive at the Citadel and open the next clue. Teams must head to the Halifax Public Gardens to taste a selection of Premium Fruit Smoothies from Orange Julius. They must then correctly identify 5 of the 10 different flavors. Brian & Cynthia get the smoothies right just as Dujean & Leilani arrive. They open the next clue revealing the Detour. In Bubbles, teams will dive into the Aquatron, Canada’s largest university aquatic research facility, where they will retrieve four live lobsters (two each) and band and tag each of them with a specific tracking device. In Suds, teams must deliver Garrison Brewery beer orders to three different pubs. At each pub, teams must retrieve two empty kegs to return to the delivery truck. Brian & Cynthia choose Bubbles and Dujean & Leilani go for Suds. Cynthia has trouble diving to the bottom of the tank. 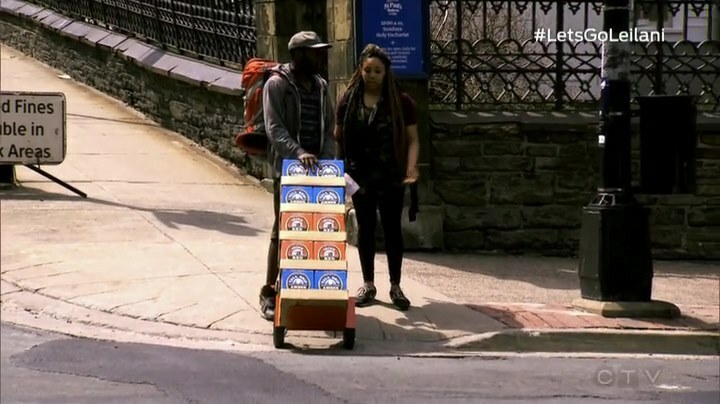 And while Leilani, as a native of Halifax, knows the streets well, they forget to take empty kegs. At the bridge, Jesse thanks Kristin for inadvertently telling him where the flag is. But Gino & Jesse’s taxi driver takes them to the wrong place. Cynthia really cannot get herself deep enough to grab a lobster so they decide to switch Detours. Hamilton & Michaelia choose Bubbles, but Hamilton is not comfortable diving so deep. They also switch. Nick & Matt choose Suds while Brent & Sean head over to Bubbles. Dujean & Leilani finally finish the Detour and head to the Pit Stop at the oldest market in North America, Halifax Seaport Farmers’ Market. They officially check-in as Team #1 and win a trip from Air Canada to any of their Caribbean destinations. Plus 2 and a half million Petro points that can be redeemed for six months of free gas. Leilani is excited to have been able to win this Leg in her hometown and on her mother’s death anniversary. Brian & Cynthia take 2nd. Hamilton & Michaelia finish the detour after correcting their mistake and now head to the airport to check on the passport. That allows Nick & Matt to head to the Pit Stop in 3rd. Neil & Kristin head to the lobsters as Brent & Sean finish. Gino & Jessie and Nic & Sabrina also choose lobsters. While the brothers have no problem grabbing the lobsters, Nic has a fear of even putting his face in water. But he decides to give it a try and they both change into their swimsuits. Once they’ve changed, however, Nic changes his mind and they decide to go do the beer instead. Brent & Sean step on the Mat in 4th. Back at the airport, Hamilton & Michaelia finally get the passport and hurry off. At the Pit Stop, it’s a father-daughter footrace with Simi & Ope finishing 5th and Neil & Kristin taking 6th. Gino & Jesse finish 7th. Nic & Sabrina are finishing up the beer and they hurry to the Pit Stop. It’s a close finish, but it is Nic & Sabrina who are Team #8. That means Hamilton & Michaelia are last and unfortunately, eliminated. Though I’m kinda sad they’re already back in Canada again, I must say this was a great Leg. And that is mainly because of the apparent parity among the teams. There’s no one team dominating the Race this season and the placements regularly fluctuate. That’s a great thing! It provides great competition and even allows for different teams to get the spotlight and not feel like they’re shoving one or two favorites down our throats (which is what TARUS usually does). First of all, I feel like TAR Canada has so many Route Markers inside airports. lol Can’t they find a nice park or street corner for a cluebox or BMO kiosk? 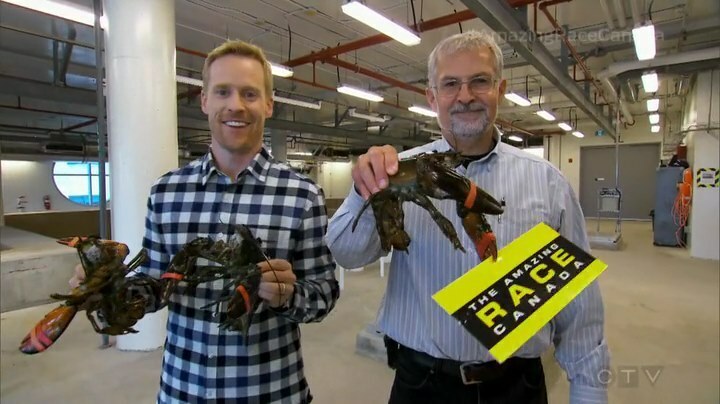 And speaking of, I absolutely do not mind product placement, no matter how blatant, on The Amazing Race. TAR is such an expensive show, it really needs any and all the financial support it can get. And that goes for any TAR around the world. For example, TAR China being essentially branded Infiniti’s The Amazing Race is fine because whatever extra cash they’re infusing into the show is reflected in the end product. 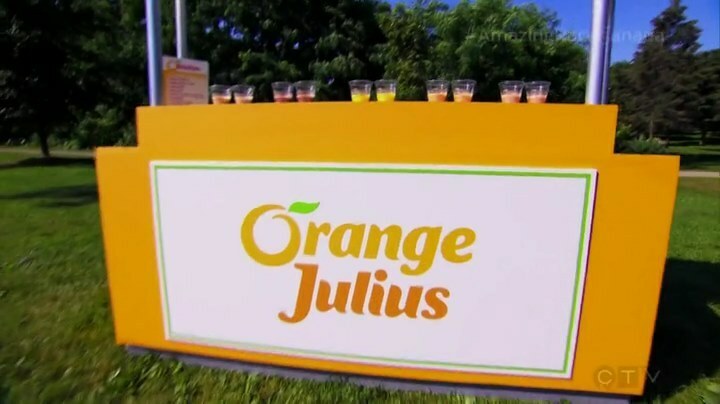 The Orange Julius task was alright. And coupled with the library Route Marker, both provided extra tasks which are always good. About the library counting task. If you follow my TAR recaps, you know I absolutely hate teams giving out answers. The big group sharing that answer almost reminded me of TARPH2. But strangely enough, I wasn’t too upset. Maybe it was because the teams were in last and they worked together, each doing their part. Or because it only took up like 1 minute instead of being an entire episode. The Road Block was standard TAR. And really the main objective of it is to hope teams go to the wrong location. The Detour was alright too. Both were equally tricky. Like the Road Block, you hope someone messes up and doesn’t read their clue properly for the beer side of the Detour. And the lobsters and diving provides its own challenges too. So I think it was a balanced Detour. Overall, a solid Leg of good tasks and great competition. A great Leg win for Dujean & Leilani. They messed up, but they still found a way to win strong. And best of all, not only did they Race very well this Leg, they also had some fireworks and even some fun with the #LetsGoLeilani moments during the episode. Add in Leilani’s emotional homecoming and they did good. Simi & Ope were a little invisible this Leg, but it was great to see them doing well. It was also fun to see them and Neil & Kristin in that footrace to the Mat. I hope both father-daughter teams can go far. Forgetting Nic & Sabrina quit the Road Block last week, they were back to their funny selves this Leg. They’re a little bit of a mess, Race-wise, but that has been fun to watch. Nick & Matt have been doing well though and they have some fun without being annoying. Brent & Sean are also showing a bit more personality and were good fun this Leg too, especially at the Detour. 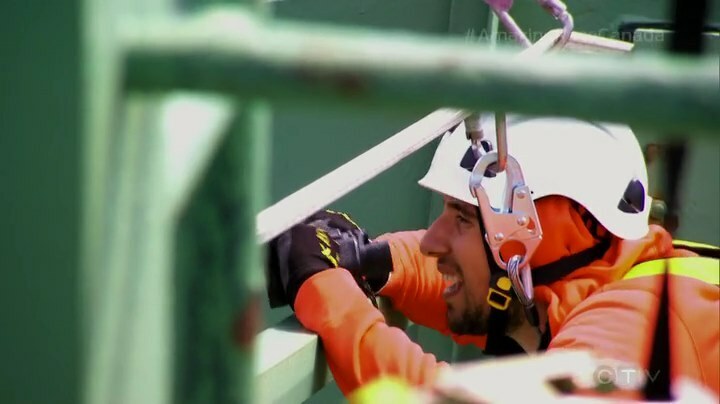 Gino & Jesse seem to prove that they can easily overcome any big misstep. That might be a big advantage for them in the future. And finally Hamilton & Michaelia. I’m not too sad to see them go as they were kind of flat most of the time. It’s too bad Hamilton left his passport on the plane, but that was his mistake. They deserve much kudos though for having seemingly finished the Leg well before other teams and would’ve easily survived if didn’t lose the passport. While I don’t understand Hamilton having no problem putting on only swim trunks this Leg, I’m at least happy they didn’t get eliminated because they couldn’t complete a task that an Express Pass could’ve easily bypassed.